After running around a bit between movies and comics,,it,let's go back to talking about the angels,,it,we had stayed at Thor talking about the tree of the & nbsp;,,it,worlds that is nothing other than the Tree of life,,it,Tree both of the entire Universe but also representation of the sacred geometry of which it is part,,it,symbolically the pillars,,it,i rami,,en,the various geometries intersect our human body,,it,in this tree is the magic expression of our nerves,,it,of our venous circle,,it,skeletal,,it, torniamo a parlare degli angeli, were we to Thor that spoke of the tree 9 mondi che altro non è che l’Albero della vita. 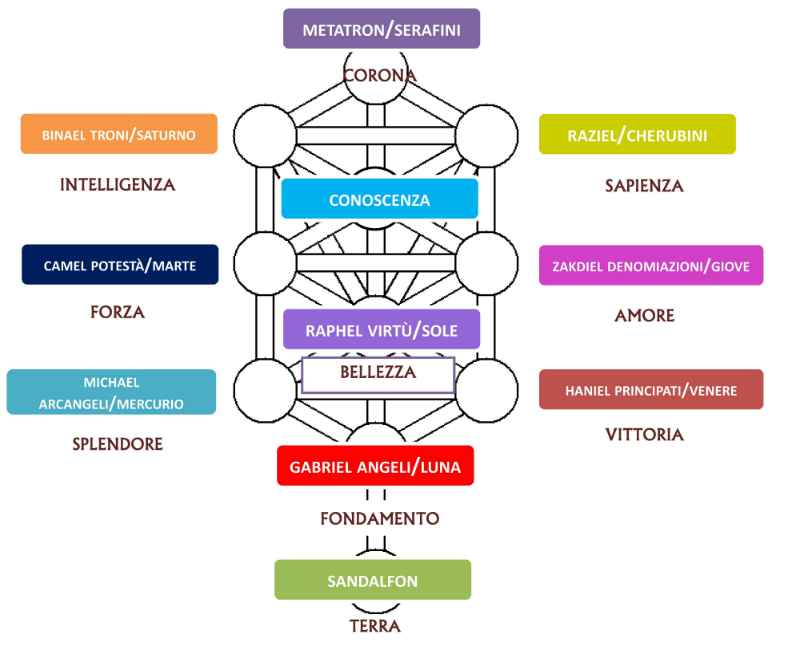 Albero sia dell’intero Universo ma anche rappresentazione della geometria sacra di cui sia facenti parte, simbolicamente i pilastri, i rami, le varie geometrie intersecano il nostro corpo umano, in questo albero è racchiusa la magica espressione dei nostri nervi, del nostro circolo venoso, scheletrico, of our organs of all our motor apparatus,,it,sensory and physical,,it,And what's not less important,,it,of our heart,,it,of the spirit and of the conscience,,it,But let's see who this magic tree is populated by,,it,The Tree of Life or Sefira is populated by the beings of light that are a direct link with the Organ of Light,,it,we call them angels and archangels,,it,The Sefira is made up of pillars,,it,that are the spheres in his glyph,,it, sensoriale e fisico. E cosa non meno importante, del nostro cuore, dello spirito e della coscienza. Ma vediamo da chi è popolato questo albero magico. L’Albero della Vita o Sefira è popolato dagli esseri di luce che sono collegamento diretto con l’Organo di Luce, noi li chiamiamo angeli e Arcangeli. Gli angeli sono l’estensione della mano del Padre Creatore, appendice delle sue mani: immaginate come se dal cielo venissero mandati ogni giorno tanti fasci di luce, which in turn then return back to Heaven,,it,I am at the service of the Organ of Light or Supreme Council of the Sages,,it,to help the Earth in its transmutation and transformation,,it,as well as helping people who have a pure heart,,it,ready to welcome their voice,,it,The real purpose of the hierarchical levels is to make us understand how there is order and harmony in the Cosmos,,it,the sense of hierarchy is completely different from what a human being is meant to give to this term,,it. Sono al servizio dell’Organo di Luce o Consiglio Supremo dei Saggi, per aiutare la Terra nella sua trasmutazione e trasformazione, oltre ad essere di aiuto alle persone che hanno un cuore puro, pronto ad accogliere la loro voce. Il vero scopo dei livelli gerarchici è di farci comprendere come nel Cosmo ci sia ordine e armonia, il senso di gerarchia è completamente differente da quello che un essere umano è improntato a dare a questo termine; they work closely with the Supreme Council,,it,so that great cleansing in the Cosmos and on the Earth is carried out every day,,it,of this we will talk about it after having deepened the levels of the spheres of the Sephirot,,it,In this magnificent order the various angelic spheres are drawn,,it,each sphere in turn is part of a branch of the tree of life,,it,defined tree of life because through the union of the power energies,,it,of matrix,,it,of creativity,,it,of intention and implementation,,it, affinché sia effettuata ogni giorno la grande pulizia nel Cosmo e sulla Terra (di questo ne parleremo dopo aver approfondito i livelli delle sfere della Sephirot). 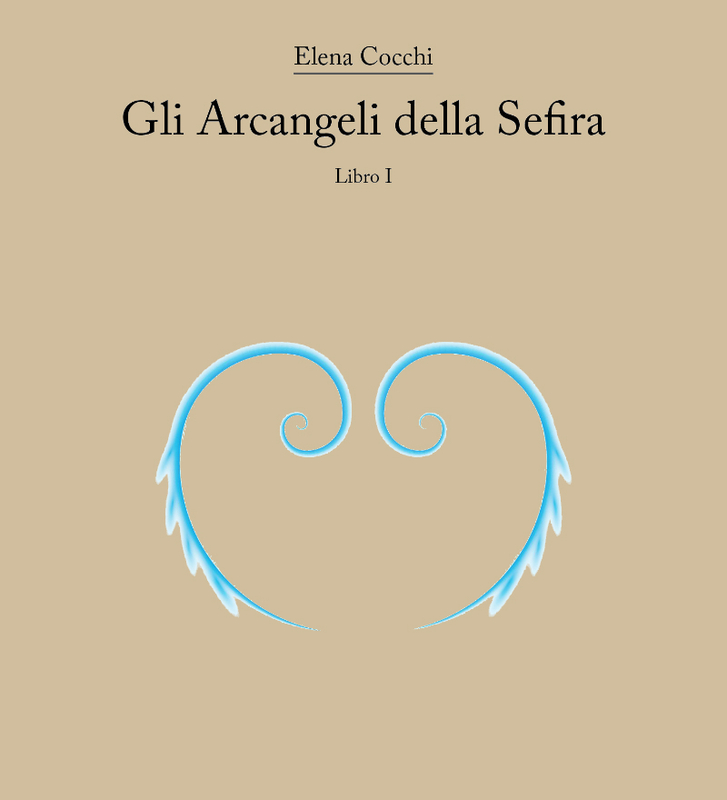 In questo ordine magnifico sono disegnate le varie sfere angeliche; ogni sfera a sua volta è parte di un ramo dell’albero della vita, albero definito della vita perché attraverso l’unione delle energie di potenza, di matrice, di creatività, di intenzione e di attuazione, combined in an alchemical way to give life to the earth,,it,the animic code of creation is printed in every living being,,it,The peculiarity of the transposition of this code from Universe to Human Cell is its diversity from person to person,,it,despite having the same unique line,,it,we are different in the way we do,,it,to think,,it,to dress,,it,in human features,,it,in the character,,it,in the tastes,,it,in the color of the skin,,it,in the smell that everyone emanates from himself,,it,We are unique beings,,it,pieces of craftsmanship chiseled with love and care,,it, viene stampato il codice animico della creazione in ogni essere vivente. La particolarità della trasposizione di questo codice da Universo a Cellula Umana è la sua diversità da persona a persona: pur avendo la stessa linea univoca, siamo diversi nel modo di fare, di pensare, di vestire, nelle fattezze umane, nel carattere, nei gusti, nel colore della pelle, nell’odore che ognuno emana di sé. Siamo esseri Unici, pezzi di artigianato cesellati con amore e cura, delicate amphoras where God has put his stamp,,it,but yet,,it,despite this we treat ourselves badly and want at all costs to resemble the mass,,it,This concept will be important again in the second book,,it,Here's how after understanding a little better what the Sefira is,,it,we can enter through the ranks of the Archangels,,it,we see sphere by sphere which are the celestial hierarchies that populate them,,it,The Angels and the Divine Matrix,,it,Written with the archangels Metatron and Michele il,,it,The first sphere,,it. and yet, eppure, nonostante questo ci trattiamo male e vogliamo ad ogni costo assomigliare alla massa. Questo concetto tornerà importante nel Libro secondo. 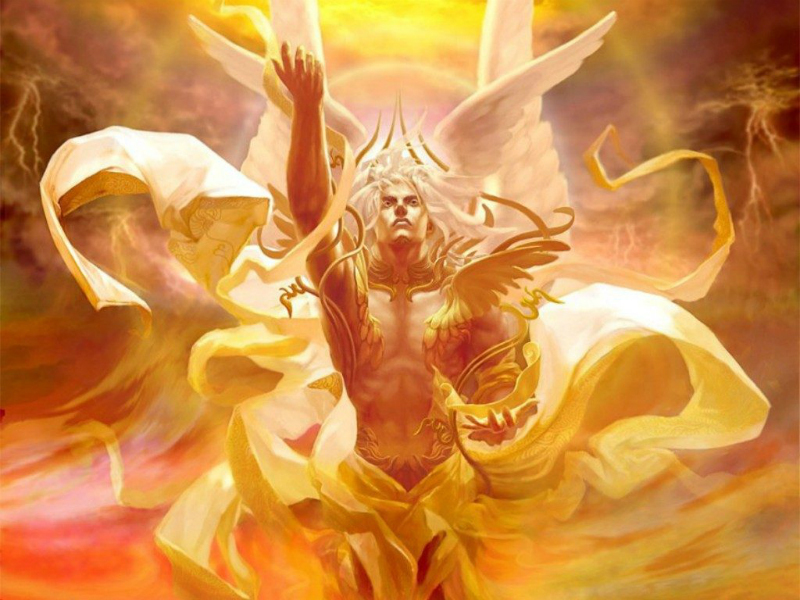 La prima sfera, the one that dominates the first part of the human body,,it,the highest part,,it,it is represented by the Seraphim,,it,from the Cherubs and from the Thrones,,it,I Serafini,,en,regent Metatron,,it,I am that band of archangels more connected with the Most High,,it,they represent the boss,,it,then the firmament,,it,they are those who transform the thought of God into action through the other spheres,,it,they represent the divine source as a profound thought,,it,I Cherubini,,en,Regent Raziel,,it,they are the Archangels and the angels that clean and harmonize the stars,,it,the souls and all the planets,,it, la parte più alta, è rappresentata dai Serafini, dai Cherubini e dai Troni. I Cherubini, reggente Raziel, sono gli Arcangeli e gli angeli che puliscono e armonizzano le stelle, le anime e tutti i pianeti, they are those who give authority and information to scientists,,it,to mathematicians,,it,to engineers,,it,they have a great openness of vision and help in technologies,,it,rely on them in the study of technical subjects,,it,They also represent that part of the human body expressive and pure soul with respect to creativity,,it,The Thrones,,it,regent Binael,,it,they are part of the ranks that help the personality find its incarnation,,it,to accept the soul and the physical body,,it,they represent action in the human body but also in Heaven,,it, ai matematici, agli ingegneri, hanno una grande apertura di visione ed aiutano nelle tecnologie: affidatevi a loro nello studio di materie tecniche. Essi rappresentano anche quella parte del corpo umano espressiva e animica pura rispetto alla creatività. I Troni, reggente Binael, fanno parte della schiera che aiuta la personalità a trovare la sua incarnazione, ad accettare l’anima ed il corpo fisico, rappresentano l’azione nel corpo umano ma anche nel Cielo, they are very powerful in some respects because they have the power to translate the thought of the Seraphim and the science and intellect of the Cherubim into creative thinking,,it,The second sphere,,it,it represents the central body of the human being,,it,therefore all the emotional and inner combat part we have seen is a fundamental part of human beings,,it,The second sphere is the active part of human doing,,it,Dominations,,it,regent Zakdiel,,it,looking at their root,,it. Le Dominazioni, reggente Zakdiel, guardando alla loro radice, literal Ddenominano or put order in the management of tasks and arbitrators,,it,angels in charge of coordinating the ranks that are on Earth,,it,they are spiritually elevated but have in them the knowledge and conscience of doing,,it,therefore they are the ones who have the task of directing interchanges with the other angels,,it,The house of the Virtues,,it,regent Raphel,,it,it is the sphere of doctors,,it,healing at all levels,,it,but also of art,,it,of all the talents that man needs in order not to fall into the circle of the disease,,it, angeli preposti al coordinamento delle schiere ch e sono sulla Terra; sono elevati spiritualmente ma hanno in loro la conoscenza e coscienza del fare, perciò sono coloro che hanno il compito di dirigere gli interscambi con gli altri angeli. La sfera delle Potestà, reggente Camele, gestisce le famiglie di anime insieme alle sfere più alte, Serafini e Cherubini, attraverso i Troni gestiscono l’afflusso delle incarnazioni nelle famiglie. Governano tutto ciò che è comunità sistemica, from politics to the single family,,it,They have the task of harmonizing everything in the balance of the components of the genealogical trees,,it,trying to avoid too many changes between the various components in the karmic evolution of the soul,,it,The third sphere,,it,he has Michele as the progenitor of the ranks of the Archangels,,it,The third sphere is connected to the base of the Sephirot as an idealization of the base of the human body,,it,It is the sphere of the guardians of the Earth,,it,divided into principalities,,it,Archangels and Angels,,it. Hanno il compito di armonizzare il tutto nell’equilibrio dei componenti degli alberi genealogici, cercando di evitare troppi avvicendamenti tra i vari componenti nell’evoluzione karmica dell’anima. La terza sfera ha Michele come capostipite della schiera degli Arcangeli. La terza sfera è collegata al basamento della Sephirot come idealizzazione del basamento del corpo umano. È la sfera dei guardiani della Terra, divisa in Principati, Arcangeli ed Angeli. They are connected with the other spheres and take strength from them,,it,It is the sphere of passing in life,,it,of any size,,it,the shelter as protection in the battle,,it,I Principati,,en,regent Haniel,,it,they have the function of connecting with the rest of the tree of life and of harmonizing the work of the Archangels and the Angels,,it,they act as the founders of the legions most linked to the Earth,,it,find the leaders of terrestrial arrangements,,it,they protect the right leaders of the nations,,it. È la sfera dell’incedere nella vita, di qualsiasi dimensione, il rifugio come protezione nella battaglia. I Principati, reggente Haniel, hanno la funzione di collegamento con il resto dell’albero della vita e di armonizzare il lavoro degli Arcangeli e degli Angeli, fungono da capostipiti delle legioni più legate alla Terra, trovano i leader degli ordinamenti terrestri, proteggono i capi giusti delle nazioni. Right now they have a lot to do to restore order in political disorder,,it,They find the right leader when they are questioned by consciences,,it,The Archangels have the function of strength and protection,,it,to send on the Earth the light of the Divine that descends through the Crown and touches all the other systems,,it,they protect and do justice to the righteous,,it,Even if it takes time sometimes their invocation always brings great great healing throughout the karmic and physical path of the person,,it. Scovano il leader giusto quando vengono interpellati dalle coscienze. Gli Arcangeli hanno la funzione di forza e protezione, di inviare sulla Terra la luce del Divino che scende attraverso la Corona e tocca tutti gli altri ordinamenti, proteggono e rendono giustizia ai giusti. Anche se occorre tempo a volte la loro invocazione porta sempre un grande risanamento grande in tutta la via karmica e fisica della persona. They have the task of being squires of the divine mission,,it,as Michael tries in this period to start people to their true nature and to follow them with courage and love,,it,The last sphere,,ro,but not least in importance,,it,it is that of the Angels,,it,regent Gabriel,,it,the messengers,,it,those who are on our side day and night,,it,who are doing their best to find the best solution for us,,it,I am in great strength right now all over the Earth,,it,active from our first wails,,it, come Michele cerca in questo periodo di avviare le persone alla loro vera natura e di seguirli con coraggio e amore. L’ultima sfera, ma non ultima per importanza, è quella degli Angeli, reggente Gabriel, i messaggeri, coloro che sono al nostro fianco giorno e notte, che si prodigano per trovare la soluzione migliore per noi. Sono in grande forza in questo momento su tutta la Terra; attivi dai nostri primi vagiti, they never stop protecting us while respecting the free will of every human being,,it,These ranks are only a way to really understand how one can ascend one's own being through the tuning of the energy of the Sefira,,it,of the angels and of the whole Universe,,it,cohesive with each other in a powerful & nbsp; action of love and strength for the important quantum leap of both the human race and the planet Earth itself,,it,Well I gave you what to read and reflect,,it. Queste schiere sono solo un modo per comprendere davvero come si può arrivare all’ascensione del proprio essere attraverso la sintonia dell’energia della Sefira, degli angeli e di tutto l’Universo, cohesively together in a powerful action of love and strength for the important quantum leap is the human race to the same Planet Earth. Bene vi ho dato di che leggere e riflettere, in the next episode we will talk about how to contact these Archangels through connection strings that repeated a certain number of times help us to increase the frequency to reach these wonderful beings,,it,The text excerpts with which I have made this article and also the next ones are extrapolated from my book The Archangels of the Sefira,,it,Greetings from the Muretto,,it,WHO ARE THE ARCHANGELES OF THE SEFIRA,,it. Gli stralci di testo con cui ho fatto questo articolo ed anche i prossimi sono estrapolati dal mio libro Gli Arcangeli della Sefira.